Thursday evening at the restored historic Lowry House in Jackson, the Mississippi Heritage Trust announced its latest list of Mississippi’s 10 Most Endangered Historic Places. As always, the announcement was followed by food, fellowship, and a silent auction of artwork depicting the 10 places. 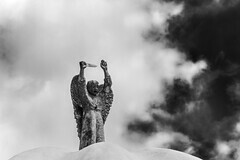 On the one hand, it’s not great to be included on the 10 Most Endangered list, but on the other hand, the list does help get the word out about various historic places in the state that have fallen on hard times and need someone or a group of someones to step up and get to work to save them. Maybe you’ll see a building or place you care especially about included on the list–if so, get moving! As for me, although I’m not happy to see my neighborhood on the list, I’m going to band together with fellow Fondrenites to concentrate on saving Fondren from stupid development and evil demolishers such as the recent personage (his name is so loathsome to me I won’t repeat it here) who hurredly demolished the historic Fondren House because it was in the way of his piece-of-junk-suburban-no-name (Homewood Suites, in case you were wondering) hotel. This year’s list includes . . .
A bustling river port before the Civil Way, Rodney was largely abandoned when the Mississippi River changed course in the 1870s. The town is now a popular stop for intrepet tourists, but few of Rodney’s historic buildings remain. A brick store was recently deemed structurally unsound and demolished. 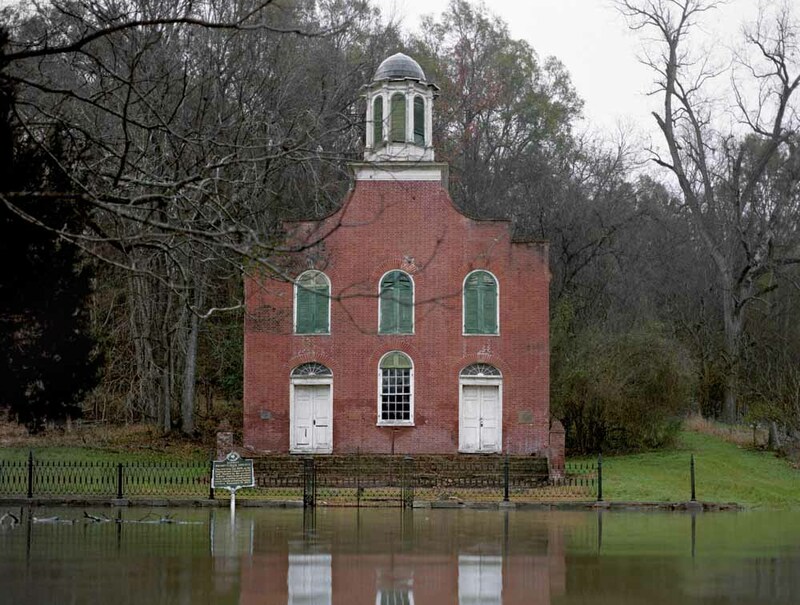 Due to recurring flooding and vandalism, the Historic Natchez Foundation is exploring the possibility of moving the Rodney Baptist Church outside of town to higher ground. The Rodney Presbyterian Church, listed as endangered in 2003, faces an uncertain future as the exterior brick walls crumble. 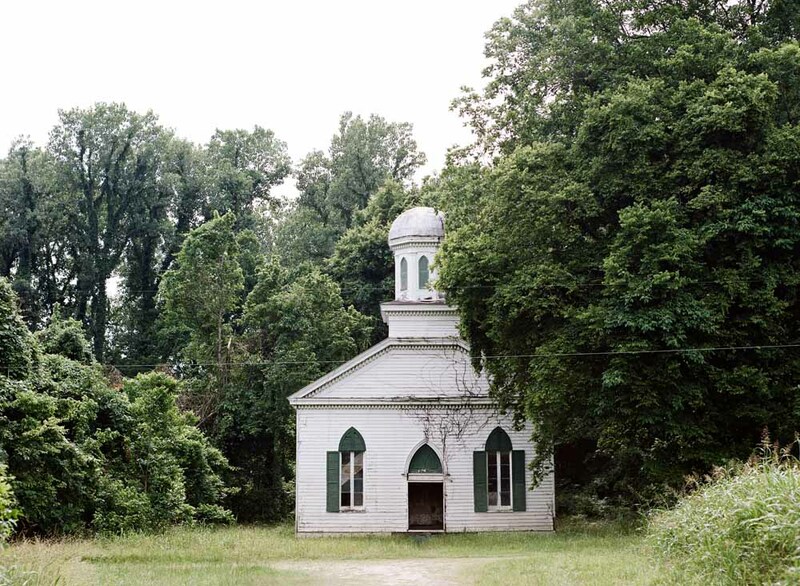 Soon, little will be left of the town that nearly became the capitol of the territory of Mississippi. Like many neighborhoods, Fondren suffered from urban decay in the 1980s. 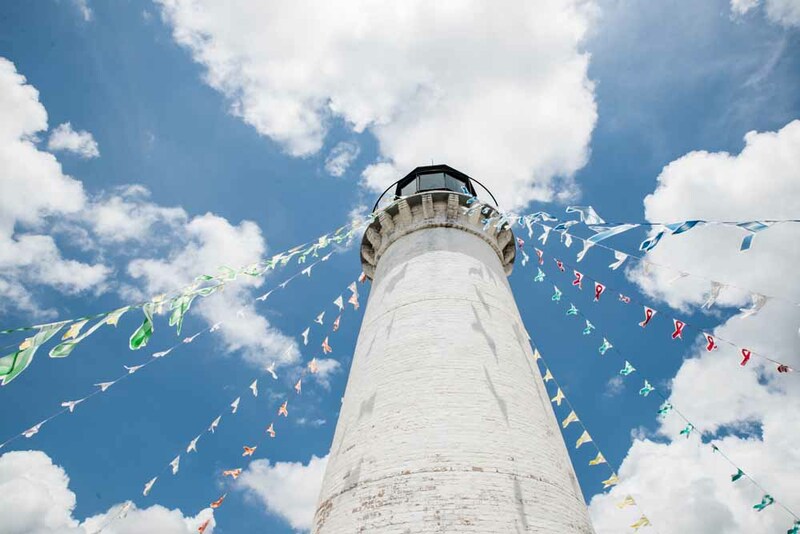 Through the dedicated work of local business leaders and residents, the area has grown and thrived in recent years. Full of local stores and restaurants, the bustling neighborhood has the largest concentration of modernist buildings in the state. 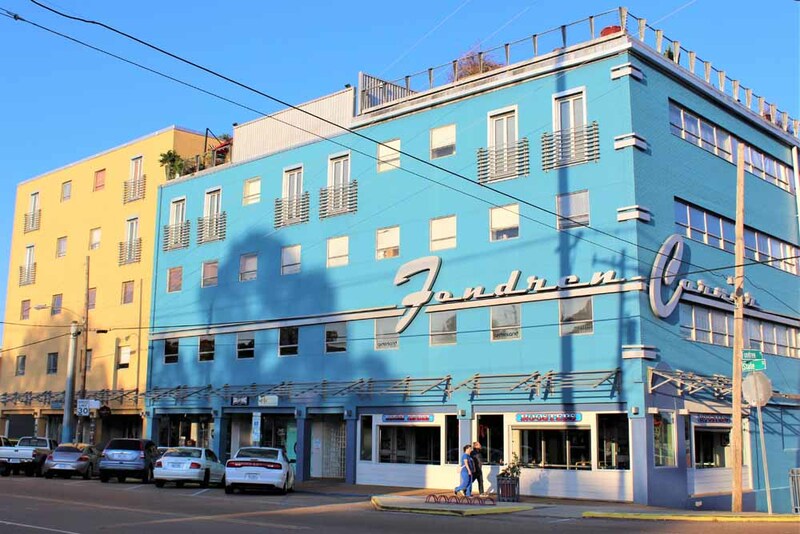 Today, there are concerns that Fondren will fall victim to its own success, as historic buildings are demolished to make way for large-scale developments. 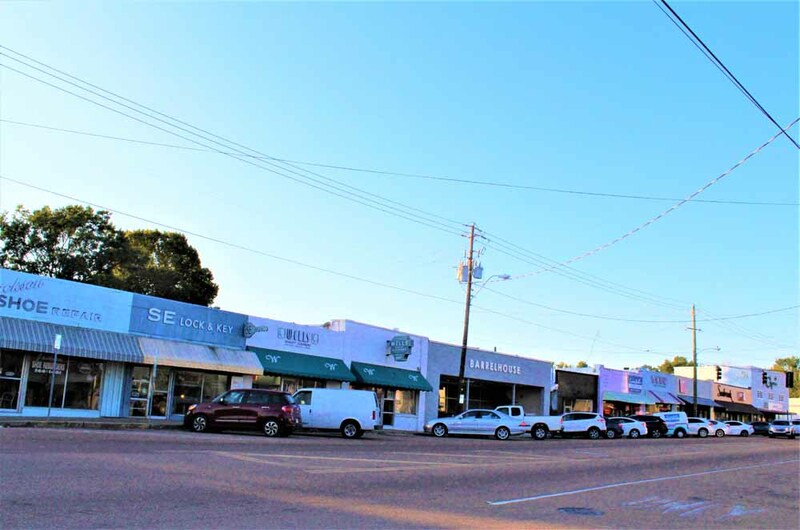 Neighbors have rallied to demand a local historic district designation for Fondren, which would allow for community input on future projects. Constructed in the 1890s, these two modest bungalows were once home to former slave Mary Green Scott and her daughter, Virginia Scott Ford. Virginia was a practicing midwife who trained other African American women to serve the medical needs of the community. Today, the houses sit amongst the blighted properties and vacant lots that characterize the once vibrant Farish Street neighborhood. 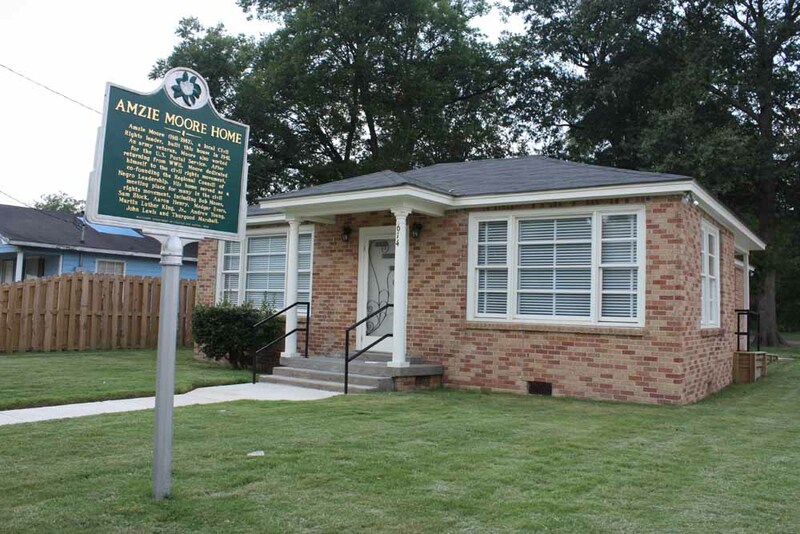 Owned by the Scott Ford Houses Board of Trustees, the organization is working to restore the buildings as a museum complex to tell the story of midwifery and African American middle-class life in Jackson, but the organization has struggled to raise funding. The Stage Marye-Gillette House, built to resemble a showboat, was once one of the most beautiful homes in Greenwood. Constructed in 1910, the Colonial Revival-style house stands out with its ornate wrap-around porch, central gabled dormer with a Palladian window and dentil cornice flanked by two small gabled dormers with Ionic pilasters and bas relief ornament in the gable ends. Today, the house sits empty and deteriorating, with its stunningly detailed porch a shambles. Currently for sale for $65,000, there is community interest in saving the house to become an inn and event space. Constructed in 1908, the Cochran Hotel, also known as the Pinnix Hotel, replaced an older wooden hotel that was lost to fire. This fine brick building, with its welcoming wrap-around porch, is an excellent example of a turn-of-the-century railroad hotel. 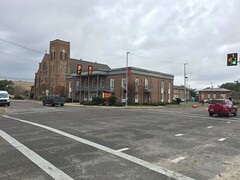 Citing structural issues, the owner has applied to have the building de-listed as a Mississippi Landmark in order to demolish it. 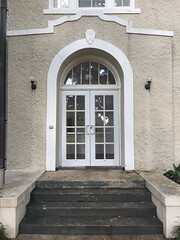 The Mississippi Department of Archives and History has requested that the owner provide a Structural Condition Analysis before any action is taken. Residents of Ackerman have expressed interest in seeing this local treasure restored to become an inn to compliment the many heritage tourism attractions in the area. The building is currently for sale for $15,000. Completed in 1905, Temple B’nai Israel is remarkable for its signature dome, stained glass windows and ark of Italian marble. 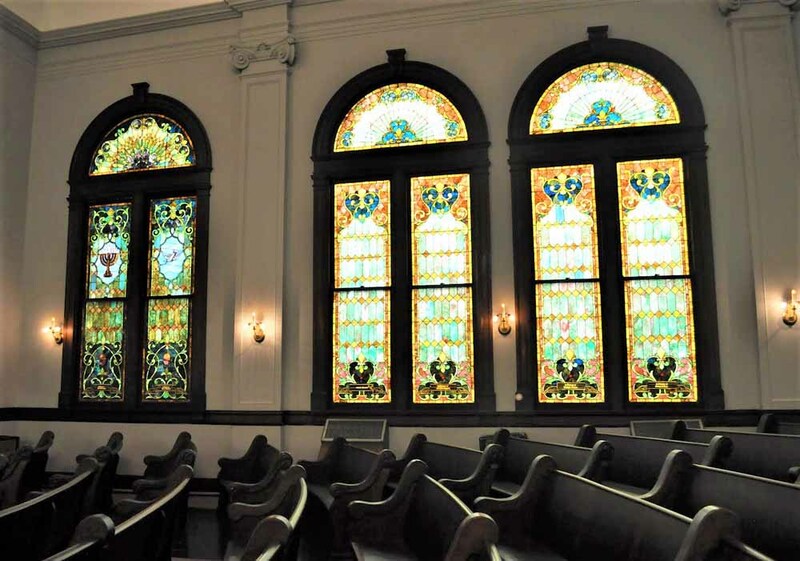 Built to seat 350 worshipers, the synagogue currently hosts regular services for groups of ten or fewer. 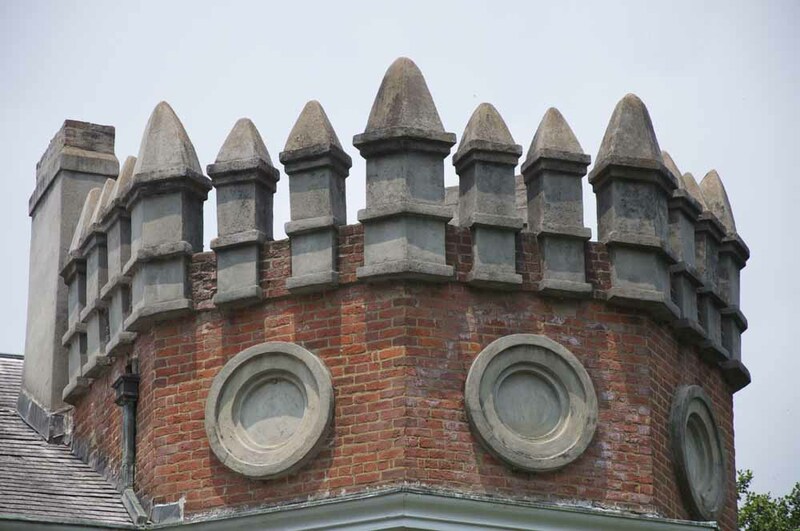 While the remaining members continue to open the historic space for cultural events and celebrations, maintenance of the historic structure has become an increasingly difficult burden for the small congregation. 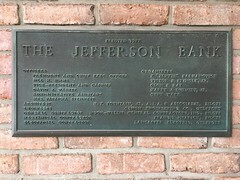 Now owned by the Institute of Southern Jewish Life, the community is working to identify a new use for the temple that will ensure its future preservation. 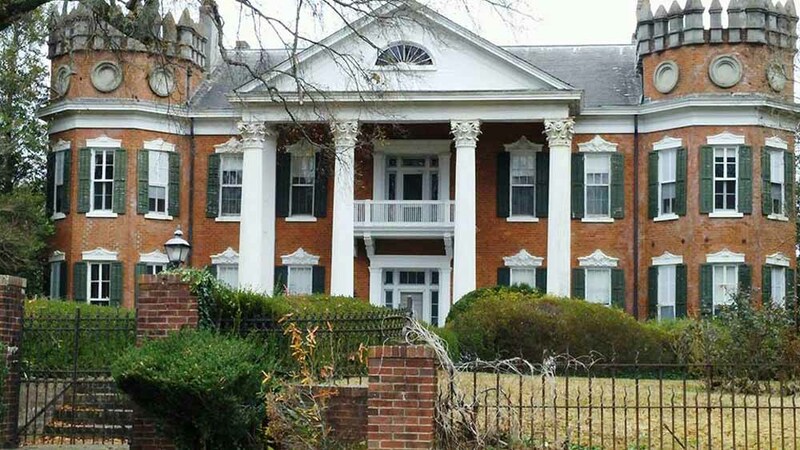 Built in 1859 for Harvey W. Walter by Holly Springs architect and contractor Spires Boiling, the Walter Place is a grand Greek Revival mansion framed by two Gothic towers. 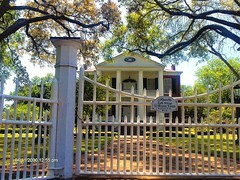 During the Union Army’s occupation of Holly Springs, General Grant’s family resided in Walter Place. The mansion was remodeled in 1903 by St. Louis-based architect Theodore C. Link, who was in Mississippi overseeing construction of the State Capitol in Jackson. Currently vacant, the building is suffering from the ravages of time. 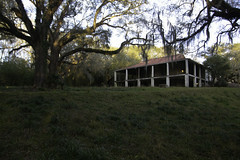 Located in the heart of Holly Springs, the Walter Place and five surrounding acres are for sale for $649,000. New Hope Missionary Baptist Church is a rare example of an early twentieth century rural African American Delta church. 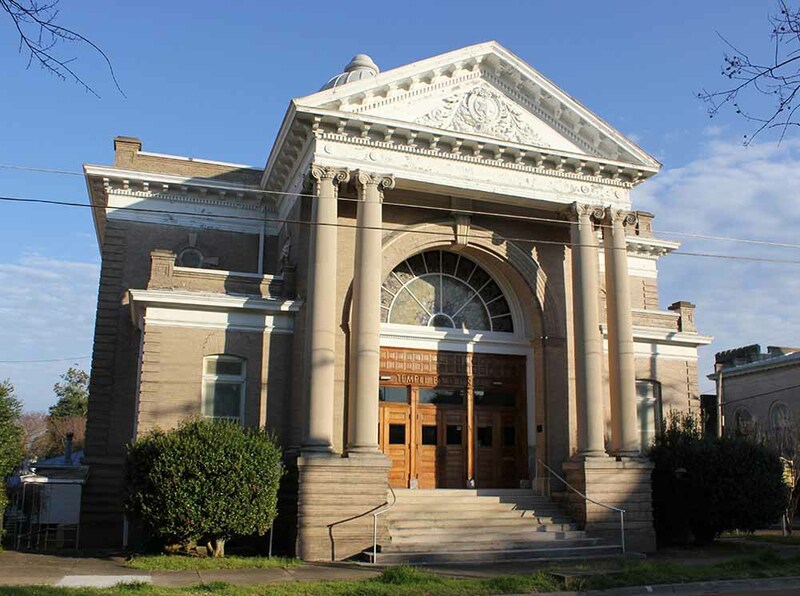 Constructed in 1918, the building survived the great flood of 1927 because of its close proximity to Deer Creek, which is higher than the surrounding land. A wood-framed building with hints of Gothic Revival style in the infilled pointed arches, the abandoned church has several large holes in the roof, allowing rain to poor in. In addition to the leaking roof, there are cracks between much of the clapboard siding, allowing water to blow in during a storm. An outstanding example of an early vernacular residence, Saragossa began life as an overseer’s house on the plantation owned by Stephen Duncan, who would become one of the largest slaveholders and cotton planters in the United States. Though the date of construction is unknown, an 1826 survey map depicts the house, then a side-gabled cottage with end chimneys, and eight slave quarters to the rear. Subsequent remodeling in the 1830s and 1850s enlarged the house and gave it the distinctive West Indies form it has today. Despite decades of neglect by an absentee owner, the house retains much of its historic character.